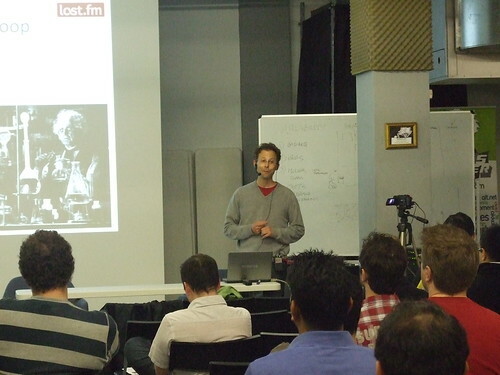 Last week was our April meet-up when we had two great presentations on the more algorithmic use of Hadoop. This was a first step into showing the wider use of map reduce beyond "bean counting" which people associate it with a lot of the time. The first was from Last.fm where Mark Levy gave an interesting talk on their use of Hadoop for topic modelling, graph based recommendations, and audio analysis. This went into details of how both topic modelling and some of graph based algorithms can be calculated though iterative map reduce processing. After this we had a presentation from Sean Owen about the collaborative filtering algorithms used in the Apache Mahout Project. This started out with explain the details behind collaborative filtering before going on to explain how this can be implemented on top of map reduce. You can find the slides and videos for all these talks on the Lanyrd event page, thanks again to SkillsMatter for hosting the event and recording the videos for us. Overall there was a lot of interest in these talks with some great discussion in the pub afterwards, so we'll try and hopefully get some speakers on these and related topics again. 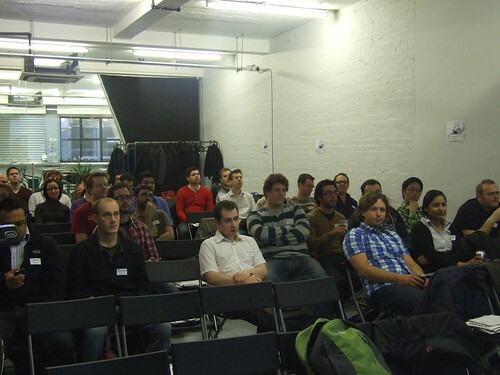 As ever please let us know if you want to give a talk on anything Hadoop related and we'll be sending out details of our May meet up in the next few days. This blog is really interesting and it is very much nice too, your information is really helpful too. Thus your blog is very much relevant for me.